and the peoples with his constancy.” -Psalms 96(95):1-2.11-12.13. 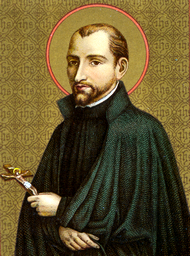 Saint John Francis Regis was born at Fontcouverte in Languedoc, in January, 1597, of a noble Catholic family. From his tenderest years he showed evidence of uncommon sanctity by his innocence of life, modesty, and love of prayer; when he was five years old he fainted when he heard his mother speak of the terrible misfortune of being eternally damned. After being educated by the Jesuits, when he was nineteen years old he decided, with the approbation of his confessor, to enter the Society of Jesus at Toulouse. There he was viewed as a model of every virtue, and was called the Angel of the College. He was sent in 1628 to study theology in Toulouse, and ordained a priest in 1630. His first ministry in Toulouse was for the victims of the plague. His superiors feared to expose his youth to the contagion, but he pleaded successfully to be allowed to do so, and God spared His servant for future labors. He was sent to visit his family for a time, and began in Fontcouverte to occupy himself first of all with the poor. The numerous conversions effected there made his Superiors decide to assign their young Saint to the mission lands of France. He began his apostolic work in Montpellier, and spent himself in preaching to the unlettered people of Languedoc and Auvergne; in these regions where heresy had made serious inroads, he made many converts among the Huguenots. He established an association of women to procure aid for prisoners, and founded numerous confraternities of the Blessed Sacrament. The winters he spent in the missions of the mountainous districts, where the people were seen to travel long miles on foot through the snows and across ice, to hear the servant of God and make their confessions. Many of them accompanied him on his journeys from one place to another, leaving all things to hear him. Some fragments of his torn cloak, which a charitable lady repaired for him one day, cured her two sick children. The reputation of the sanctity of the missionary spread everywhere in the mountains. During the summer he preached in Le Puy, which soon changed its aspect by his catechisms. Up to five thousand listeners crowded in to hear him at the church of the Benedictines of Saint-Pierre-le-Moustiers. He visited hospitals and prisons, preached and instructed, and assisted all who in any way stood in need of his services. In November of 1637 the Saint set out for his second mission at Marthes in the mountains. 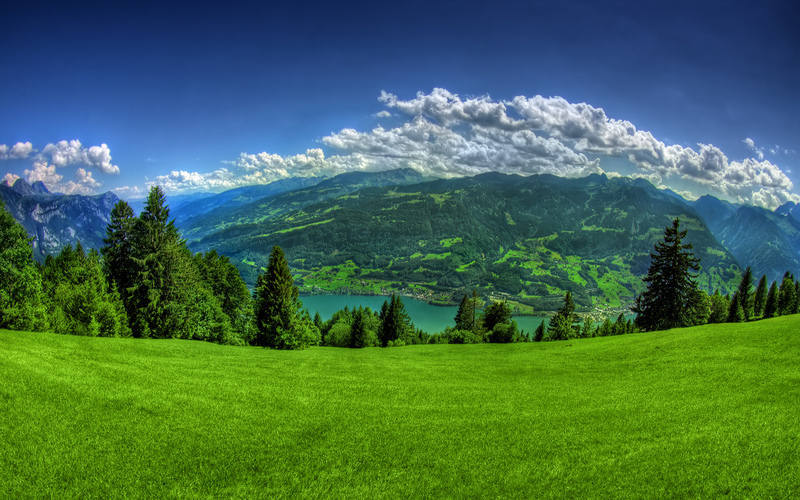 His road lay across valleys filled with snow and over frozen and precipitous peaks. In climbing one of the highest, a bush to which he was clinging gave way, and he broke his leg in the fall; nonetheless, with the help of his companion and a staff, he managed to continue his journey for the remaining six miles. Then, instead of seeing a surgeon, he insisted on being taken straight to the confessional. After several hours, the parish priest found him still seated, and when his leg was finally examined the fracture was found to be miraculously healed. 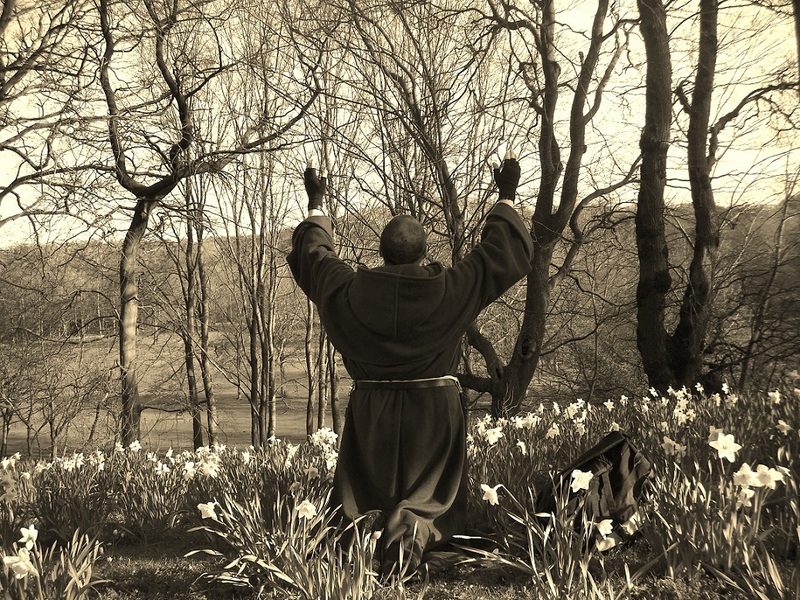 Saint John Francis was so inflamed with the love of God that he seemed to breathe, think, and speak of Him alone. 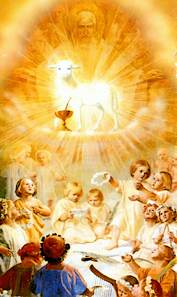 He offered up the Holy Sacrifice with such attention and fervor that those who attended it could not but experience with him something of the fire consuming him. After twelve years of unceasing labor, having taken a wrong turn on a strange road, and having remained for the night in a cabin open to the wind, he contracted a severe pleurisy and rendered his pure and innocent soul to his Creator at the age of forty-four. He was mourned, invoked for assistance and then venerated as a miracle-working Saint; his place of sepulcher at Louvesc in the mountains is still the site of fervent pilgrimages. He was canonized by Pope Clement XII in 1737. The Curé of Ars obtained a famous miracle with a medal of our Saint. The orphanage of Ars had no more grain for bread, and the harvest had been so scanty the people could not be asked for any more aid. The Curé of Ars put a medal of Saint John Francis behind the door of the empty storeroom, and the next day they could scarcely open that door, so full had the room become overnight. His gentleness converted the man. How much might we do if we would forget our own wants to remember those of others, and put our trust in God! 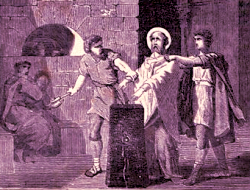 When the cruel edicts of Diocletian and Maximin Hercules were published against the Christians in the year 303, it required more than ordinary force in the bishops and clergy, to encourage the people to undergo martyrdom rather than apostatize. All were forbidden even to draw water or grind wheat, if they would not first incense idols placed for that purpose in the markets and on street corners. Saint Sabinus, Bishop of Spoleto, with Marcellus and Exuperantius, his deacons, and several other members of his clergy who were worthy of their sacred mandate, were apprehended in Assisi for revolt and thrown into prison by Venustianus, Governor of Etruria and Umbria. He summoned them before him a few days later and required that they adore his idol of Jupiter, richly adorned with gold. The holy bishop took up the idol and threw it down, breaking it in pieces. The prefect, furious, had his hands cut off and his deacons tortured on the rack and burnt with torches until they expired. Saint Sabinus was put back into prison for a time. He was aided there by a Christian widow of rank, who brought her blind nephew to him there to be cured. Fifteen prisoners who witnessed this splendid miracle were converted to the Faith. The prefect left the bishop in peace for a month, because he himself was suffering from a painful eye ailment. 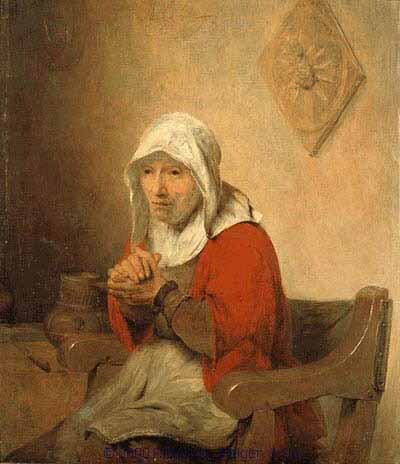 He heard of the miracle and came to the bishop in prison with his wife and two sons, to ask him for help in his affliction. Saint Sabinus answered that if Venustianus would believe in Jesus Christ and be baptized with his wife and children, he would obtain that grace for him. The officer consented, they were baptized, and he threw into the river the pieces of his broken statue. Soon all the new converts gave their lives for having confessed the Gospel, sentenced by Lucius, whom Maximus Hercules sent to Spoleto after hearing of their decision, to judge and condemn them. As for Saint Sabinus, he was beaten so cruelly that on December 7, 303, he expired under the blows. The charitable widow, Serena, after seeing to his honorable burial near the city, was also crowned with martyrdom. A basilica was later built at the site of the bishop’s tomb, and a number of monasteries in Italy were consecrated under his illustrious name. “Now this is the message that we have heard from him and proclaim to you: God is light, and in him there is no darkness at all. But if we walk in the light as he is in the light, then we have fellowship with one another, and the blood of his Son Jesus cleanses us from all sin. If we say, “We have not sinned,” we make him a liar, and his word is not in us. 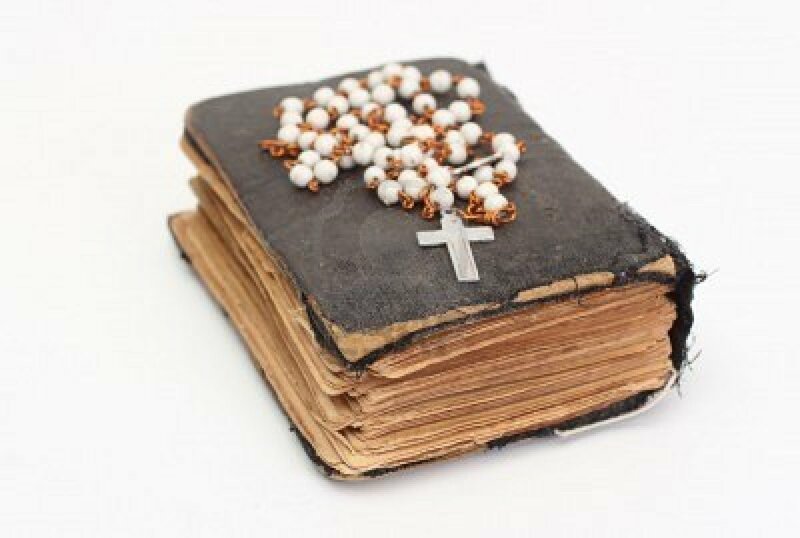 My children, I am writing this to you so that you may not commit sin. But if anyone does sin, we have an Advocate with the Father, Jesus Christ the righteous one. He is expiation for our sins, and not for our sins only but for those of the whole world.” -1 John 1:5-10.2:1-2.
what we have seen and heard we proclaim now to you, so that you too may have fellowship with us; for our fellowship is with the Father and with his Son, Jesus Christ. We are writing this so that our joy may be complete.” -1 John 1:1-4.